L.A. vs. New England! Youth vs. experience! Kale vs. chowdah! 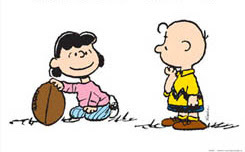 Yes, it’s time for a weekend of blow-out commercials, occasionally interrupted by a football game. Before you start training to gorge at your Super Bowl-party, tackle this month’s selection of notable news stories, intercepted for you from the Drug Channels gridiron. Trick play: Hospital care vs. prescription drugs: My best tweet ever! Plus, we here at Drug Channels have just released our 2019 media kit. Check it out and let us know how we can help you appear on the site. P.S. Follow my curated links to cool stuff at @DrugChannels on Twitter. The Wall Street Journal published this fascinating look at the excess profits earned by plans in the Medicare Part D program. The article provides a readable overview of how Part D works, along with the warped incentives that exist within the program’s design. Careful readers will come away with an understanding of why Part D plans want higher list prices but dislike pass-through rebates. You read my summary of Part D bidding problems in the “BLOWING BUBBLES” section of Will CMS Pop the Gross-to-Net Bubble in Medicare Part D With Point-of-Sale Rebates? The Journal also somehow neglected to mention SpongeBob Squarepants. 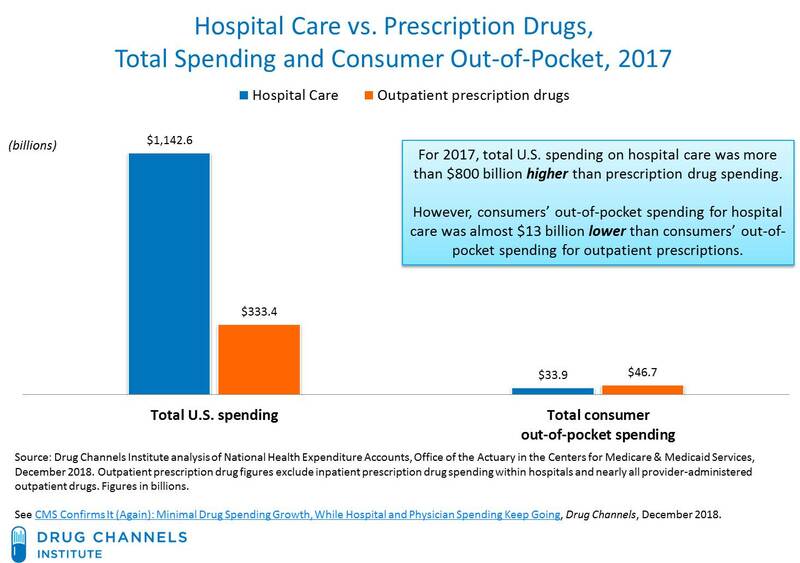 In December, I published CMS Confirms It (Again): Minimal Drug Spending Growth, While Hospital and Physician Spending Keep Going. 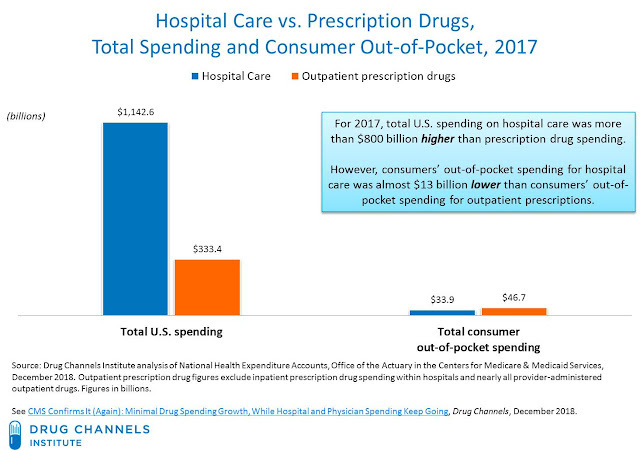 People who claim to want "affordable #drugs" should focus on (or at least acknowledge) the crazy discrepancy in patients' out-of-pocket exposure to the costs of prescription #drugs vs. hospital care. This tweet turned out to be my most liked and most retweeted one ever.. I’m reposting it in this month’s news roundup because many readers don’t follow @DrugChannels on Twitter. You really MUST read this clever and hilarious paper by Wharton professors Lawton Burns and Mark Pauly. And now for some shameless self-promotion! 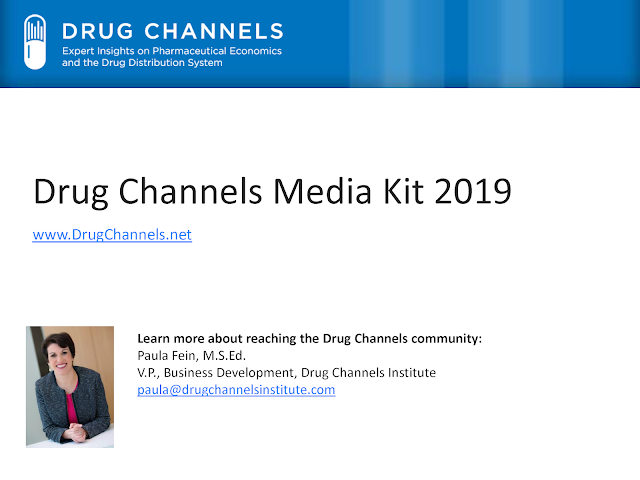 The 2019 Drug Channels Media Kit provides an overview of Drug Channels, our traffic, and opportunities for sponsored guest and event posts. Email my business partner (and wife) Paula Fein (paula@drugchannelsinstitute.com) to find out how you can reach our large and engaged audience.